Whether you are traveling for pleasure or business, you always want to be well prepared for the trip. While traveling can be exciting, it can also feel overwhelming during the time of packing. You cannot over-pack or under-pack nor can you underestimate the importance of accessories that may be needed during your trip. For a business trip especially, you will need several gadgets – all interconnected and necessary for your meetings. Besides packing the clothing, passport, wallet and your phone, what else you may need for a business trip? You may not know now, but you will realize the importance as we talk about the must-have business travel accessories. It all starts with a flight. Local or international, you would not want to waste your time sitting idle during a flight. How will you charge your laptop and phone during meetings and while you are away from a socket? There may be some areas restricting you to connect with the internet. Have you taken care of that? 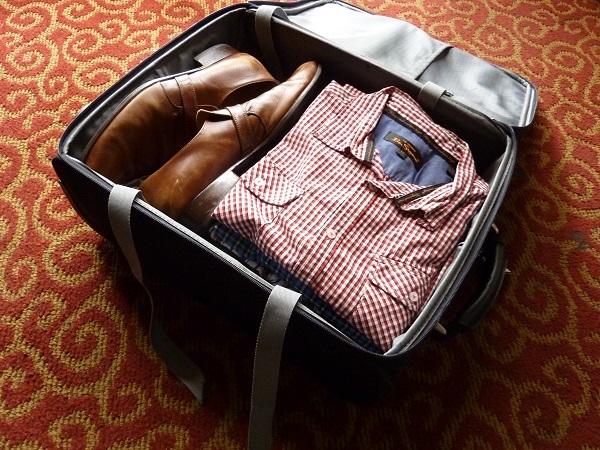 How many suits should you pack? It all feels ‘too much’ but here are our top 8 business travel accessories to run your trip as smooth as possible. Most business travelers are aware of this fundamental rule; always keep your luggage in hand. This makes getting off the plane easier and quicker. Also, there is relief in knowing that your personal stuff is right there with you. However, there are those international or longer trips when checking luggage is important and, in such cases, it tends to be frightening to consider losing your baggage. Now you have the facility to keep a check on your luggage and be in peace of mind. You can track the particular area of your checked bags through a tracker’s mobile application and will receive an instant alert or email when you land, affirming that your baggage arrived. It feels like a full-time job to keep all your electronic gadgets charged up and ready to go for a meeting. It is also sometimes difficult to find power points while traveling, and you will not want to run out of battery. Such desperate times call for an external charger or power bank. It is a pocket-sized accessory that you can easily pack in your hand carry or jacket pocket. On the other hand, you can also buy a battery case for your phone. A battery case, in addition to protecting your phone, offers better battery life, which may long for 26 hours talk time. These headphones are essential whether you want to avoid a crying baby on an airplane or complete a task without any disruption. You do not want to hear a person’s snores while he is seated next to you. Noise-canceling headphones can be lifesavers to muffle the restlessness of the office. There are plenty of options in the market that come with perks such as wireless Bluetooth, microphone, color changing, etc. It all comes down to your personal taste as well as your budget. These headphones use acoustic noise-canceling technology, which reacts to external noise and nullifies it with the opposite signal. A business trip means lots of print copies. But how readily available are the printers when you are traveling? A portable hard drive allows you to save documents and print your work by plugging it into any system. Hard drives come in different space sizes; you can get one with larger storage to take all the important documents along with you especially when you are carrying a tablet. A business trip looks unprofessional if you do not carry an efficient wristwatch. You cannot afford to be late in meetings and conferences. Wearing a wristwatch implies that one understands the worth of time Professionals do not rely on smartphones for time checking. Nobody likes it when someone looks at their phone to check time in the middle of an important conversation. If your job requires frequent travel, then you must get a sturdy and durable brand of watch. There are several watch brands that fit into the travel category. If you want to sort out your options, a good brand to start your research on would be the Longines watch brand, a reputable Swiss watchmaking company. These watches are powered by automatic or quartz movements and have as many facets as the men who wear them. Hotel internet connections might be the only Wi-Fi accessible to you while you are abroad. Even that could be slow or expensive to use. Portable hotspots let you connect to the web anywhere, whenever you want without any worry. So, when you need to shoot an email while you are waiting in the boarding lounge or traveling to your hotel in a taxi, you can simply not worry and use your portable hotspot. The market has various wireless travel routers that not only let you browse safely but also has USB ports allowing you to charge your devices. Cannot sleep during your flight or in your hotel room? Get a kindle and pass your time with a bit of reading. A business trip does not allow you to carry a huge suitcase because usually, the trips are shorter. 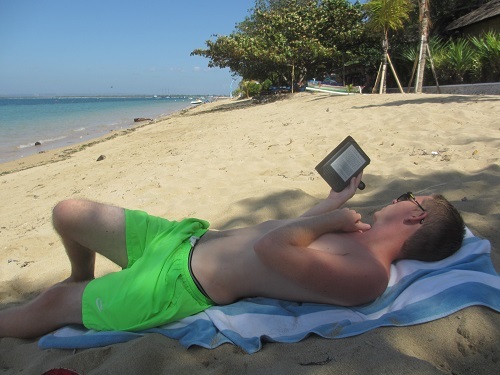 Thus, instead of packing books, make the most of a kindle consisting of hundreds of books that you can read absolutely anywhere you take it. You may feel that it is not important but trust us! When you travel on a business trip, you are usually occupied with meetings. You do not have time to keep everything in place and organized. This is where a travel document organizer comes in action. It keeps your documents well organized and easily accessible by putting them all together in one place. Travel documents may consist of passport, tickets, itineraries, travel insurance policy, confirmations, medical cards, and list of current prescriptions. Whether it is a day trip or a 14-hour international flight, traveling along these accessories will help you stay powered-up, organized, and connected. Make sure to run through this list before your next business trip and keep yourself stress-free.